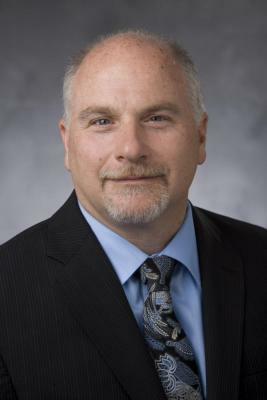 Deputy director of Duke Cancer Institute Steven Patierno, PhD, recently received the 2018 Equity, Diversity and Inclusion (EDI) Award from the Duke Office for Institutional Equity. Patierno wears many hats, so to speak. He is responsible for overseeing all of DCI's initiatives in the realms of cancer control, population sciences, and healthcare delivery research, including policy. The Duke Office of Institutional Equity is committed to highlighting individuals and teams making significant contributions toward enhancing diversity and inclusion at Duke. The Equity, Diversity and Inclusion (EDI) award recognizes individuals who demonstrate behavior or lead initiatives fostering equity, diversity and inclusion. The award honors faculty and staff who demonstrate such commitment through leadership and work to create a more diverse and inclusive environment at Duke University and Duke Health. Patierno joined Duke Cancer Institute in 2012. In his role at Duke he is also responsible for the institute’s cancer supportive care and survivorship programs, and the DCI’s Office of Health Equity and Disparities. Patierno is currently conducting DOD- and NCI-funded basic and translational research on the genomics of cancer disparities focused on signaling pathways driving tumor aggressiveness in African Americans, and pharma-funded healthcare delivery research focused on digital patient navigation. Prior to joining Duke, Patierno served as executive director of The George Washington University Cancer Center, and was the Vivian Gill Distinguished professor of Oncology and professor of Pharmacology and Physiology, Genetics and Urology in the GWU School of Medicine and Health Sciences. He received a Bachelor of Science degree in pharmacy from the University of Connecticut in Storrs, Connecticut, and a PhD in molecular pharmacology from the Graduate School of Biomedical Science at the University of Texas Health Science Center-MD Anderson Cancer Institute in Houston, Texas. He completed an NIH-funded postdoctoral fellowship at the University of Southern California (USC) Norris Comprehensive Cancer Center in molecular oncology and carcinogenesis.